March Break! 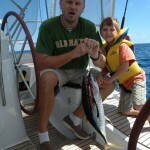 Only have about two weeks to get the boat to Fort Lauderdale from the Exumas. 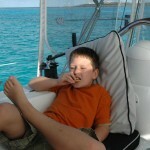 After a few days enjoying the Family Regatta in George Town, we set sail North on the out side of the Exuma Cays. I have two rod holders on the stern, and the rods are always ready to be deployed. 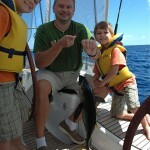 Anytime we are on the outside of the cays, I let the deep sea fishing lines out. I am not the best fishermen, actually, I don’t know much about it at all.The whole time down to the Bahamas and back we only caught a few small barracuda, a very large Mahi Mahi 4 feet, 45lbs, and a couple of Tunas. 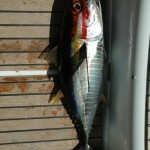 Today was the day of the Tuna, this one is pretty small, and the locals call them toonies! 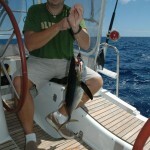 Tuna goes great on the BBQ, a little rare is best! Very nice and healthy! 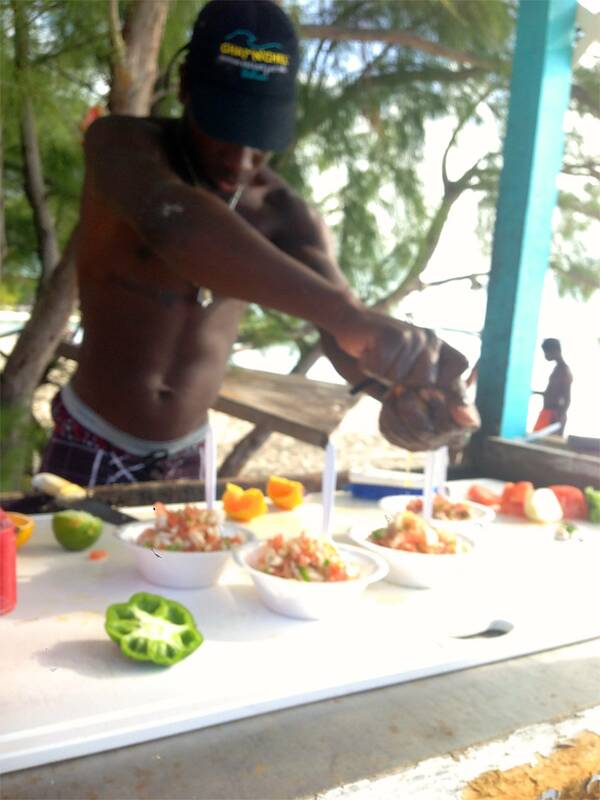 However, Beware of eating Barracuda, they can be deadly and paralyzing. Large Barracudas feed on the reefs, certain small fish that feed on the coral reefs are poisonous and when they eat these, they become also poisonous to humans. The small or baby Barracudas have not eaten enough of this in their life times to effect us, so apparently they are safe. But just be careful, better stay away from all of them. Ed & Alex all excited! 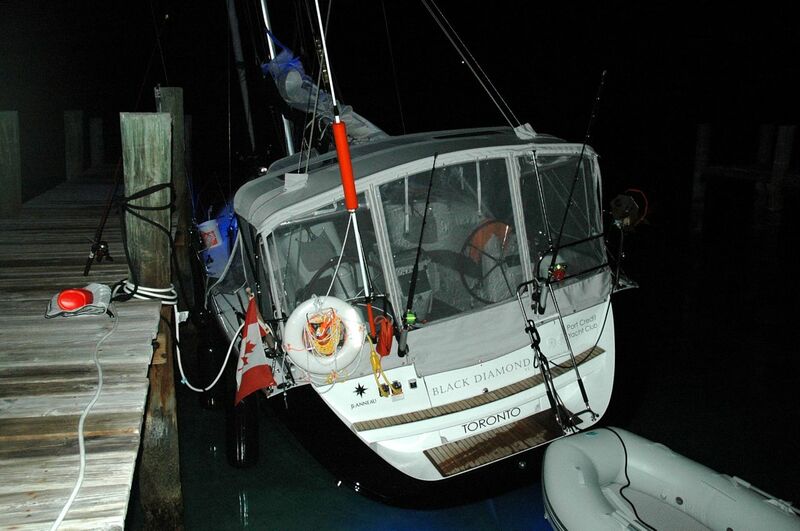 Previous story *VIDEO* Port Credit Yacht Club Family Cruise to the Royal Hamilton Yacht Club!